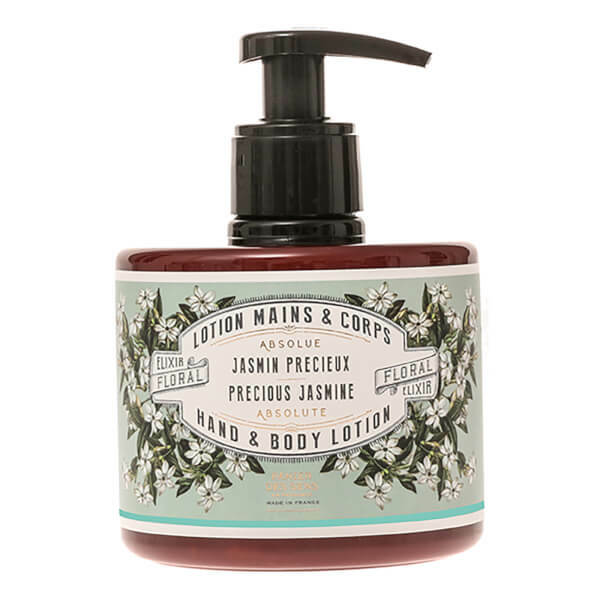 Treat your skin to the nourishing properties of Panier des Sens The Absolutes Precious Jasmine Hand & Body Lotion. Lightweight and smooth, the multi-purpose cream envelops the skin, creating a velvety veil of softness to help restore moisture and comfort. Rich in Olive, Grapeseed and Avocado Oils, the hand and body lotion will leave skin feeling supple and pampered. Aqua, Butyrospermum Parkii (Shea) Butter, Glyceryl Stearate, Olea Europaea (Olive) Fruit Oil, Vitis Vinifera (Grape) Seed Oil, Parfum (Fragrance), Glycerin, Benzyl Alcohol, Ceteareth-20, Persea Gratissima (Avocado) Oil, Ceteareth-12, Cetearyl Alcohol, Cetyl Palmitate, Carbomer, Allantoin, Ethylhexylglycerin, Dehydroacetic Acid, Tocopherol, Helianthus Annuus (Sunflower) Seed Oil, Sodium Hydroxide, Tetrasodium Glutamate Diacetate.